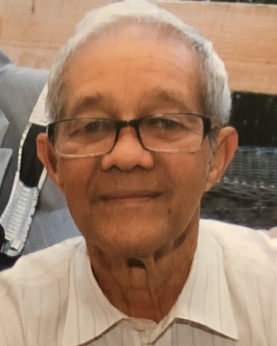 Wilhelm F. “Will” Bradley, Sr., 84, of Shrewsbury, died on February 4, 2019, at home surrounded by his family. Will was born in Belize to James and Iris (Rhaburn) Bradley. He immigrated to the US with his family in 1967 and worked tirelessly to build a strong family and successful business. He was the longtime owner and operator of Bradley’s Auto Service in Red Bank, NJ. Will was always known for his generosity and love of his family. He and his wife, Lucy, constantly and repeatedly donated to local charities as their financial situation allowed. This generosity also extended to children living in the neighborhood around his auto repair shop, as he would often help them with repairs on their bikes. He would spend time with his wife and children at least as often as he would work. As grandchildren came along, family gatherings at the Bradley household would only get larger and more robust. Will was predeceased by both of his parents, Marie Bradley (sister), James Bradley (twin brother). He is survived by his wife of 60 years, Lucille (Quan) Bradley; and all his 5 children and their spouses, Wilhlem Jr., Dennis (Mary), Gary (Karen), Ronald (Lenny) and Debra (Joseph); his sister Olga Bradley; his 9 grandchildren, Dennis Jr, Petra, Ariya, Mark, Eric, Sean, Erika, Mason and Presley; his 2 great grandchildren James and Judah.